Nolvadex is a compound that is tolerated quite well by the overwhelming majority of users, though there are some potential side effects to be aware of. Because of the difference in androgen and Estrogen receptor proliferation among cells in the male and female bodies, Nolvadex tends to generate quite different effects and experiences in men versus women. This is why there are greater amounts of negative experiences where Nolvadex side effects are concerned among women than men, but this is a different story in comparison to its use among bodybuilders and athletes using Nolvadex as an ancillary compound surrounding their anabolic steroid use. 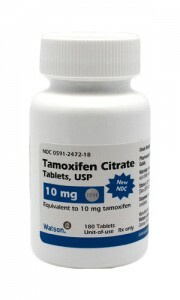 The official prescription documentation for Nolvadex side effects in regards to its use as a female breast cancer treatment drug includes: hot flashes, vaginal itching, upset stomach, headaches, dizziness, bone and joint pains, and edema. Lesser and infrequent side effects may include: cholesterol changes, altered white blood cell count, altered platelet count, skin rashes, endometrial changes, deep vein thrombosis, and pulmonary embolism. These are Nolvadex side effects associated with use in females, and are officially documented as evidenced in clinical studies and contained on the pamphlet within the prescription product itself. The Nolvadex side effects listed above are practically a non-concern for male users, as the overwhelming majority of said side effects are reportedly almost never experienced among men. There is, however, a persistent and long standing myth that Nolvadex – if utilized with compounds such as Trenbolone or Nandrolone (Deca-Durabolin) – will up-regulate Progesterone receptors and increase their sensitivity to these compounds. Thus, what supposedly results is an increase in Progestin-related side effects from the use of Trenbolone, Deca, or any related 19-nor compounds (due to the fact that they are Progestins in and of themselves). This myth is simply not true. The origin of this Nolvadex side effect myth is rooted in various studies in the past that have demonstrated that Nolvadex does up-regulate Progesterone receptors – in females. Another piece of the origin to this myth is the fact that several studies in the past have also demonstrated that Nolvadex acts as an Estrogen antagonist in breast tissue, and in doing so, down-regulates the Progesterone receptors as well (this is because Progesterone receptor activity is closely linked with Estrogen receptor activity). These studies demonstrated that this of course occurs in normal healthy humans, but in breast cancer patients it results in an up-regulation of the Progesterone receptor. Unfortunately, many in the bodybuilding community read into these particular studies out of context and made the assumption that all normal healthy humans react the same way. It is not true. 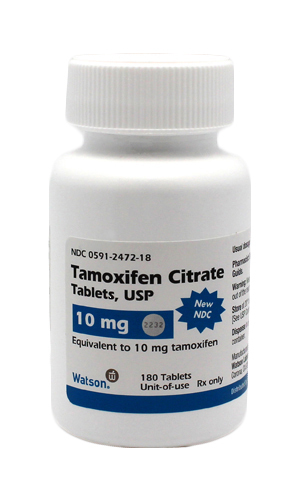 Medically, Nolvadex (Tamoxifen) is utilized as a medication in the treatment of 6 different types of female breast cancer. The prescription dosing and administration of Nolvadex in these cases call for 10 – 20mg taken twice per day, in the morning and evening respectively. Within the bodybuilding and performance enhancement world, Nolvadex is primarily and commonly utilized as an ancillary aid to combating, reducing, and/or preventing the development of Gynecomastia. This is normally especially the case when a particularly moderate or aromatizable anabolic steroid is utilized in a cycle. Dosing of Nolvadex in this case is approximately 10 – 30mg per day. The common dosing tends to be 20mg per day of Nolvadex. It is very important to understand that higher and higher dosages of Nolvadex, greater than 20 – 40mg per day, does not produce any greater or faster effect on reducing or preventing gynecomastia, despite common misconceptions. The other primarily utilized purpose for Nolvadex among bodybuilders and athletes is its ability to stimulate and increase the male production of endogenous Testosterone, as evidenced by many studies. It does so by acting on the pituitary and hypothalamus gland in the brain, and signaling an increase in production of FSH (Follicle Stimulating Hormone) and LH (Luteinizing Hormone), which then signal the testes to produce Testosterone. In this case, Nolvadex is usually administered during PCT, which is immediately after the anabolic steroid cycle is complete and all anabolic steroids are clear from the individual’s system. 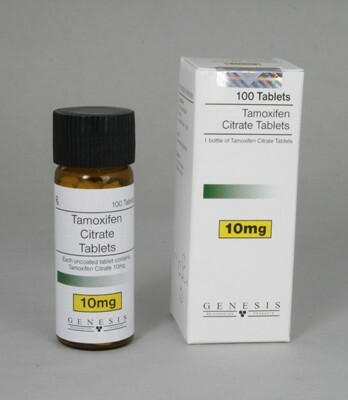 In this application of administration, 20 – 40mg per day of Nolvadex per day for approximately 4 – 6 weeks. Studies have demonstrated that venturing higher than 20 – 40mg per day does not generate any significantly greater amount of Testosterone production. 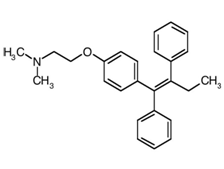 Nolvadex is also normally included with the administration of at least one or two other Testosterone stimulating compounds during PCT (such as an aromatase inhibitor, usually Aromasin, and/or HCG) in order to enhance its effects on promoting proper HPTA function following the conclusion of a cycle. The use of Nolvadex during a cycle will not counter-act the Testosterone suppression of anabolic steroid use and will not keep endogenous Testosterone production going amidst the use of suppressive compounds. It is therefore not recommended to do so, as it would be a waste of product and money. Nolvadex possesses an extremely long half-life for an oral compound, approximately 5 – 7 days, and some studies demonstrating as long as 14 days. There should therefore be no requirement to split dosages up throughout the day, and it is safe to consume with food or on an empty stomach. Nolvadex is largely an uncontrolled substance in the vast majority of the world. In Canada and the United States in particular, it is a prescription-only product, but it is not a controlled substance and therefore legal or own, purchase, and possess – though it is not available over the counter here. In the UK, Nolvadex legality is the same. 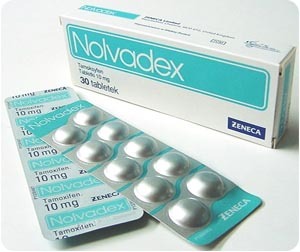 In many countries in Eastern Europe, Asia, and the Middle East, Nolvadex is often openly available over the counter. Nolvadex is a very easy product to buy and exists in many different forms. Because it is a must-have ancillary item when it comes to anabolic steroid use, any sources should have this product in both pharmaceutical grade format as well as underground lab (UGL) format. Pharmaceutical grade Nolvadex is a little more expensive than the underground manufactured product, but it is generally a very cheap and affordable item to begin with. Most all in-person ‘gym dealer’ sources, internet sources, and mail-order sources will have it. Another innovation is the existence of what is known as research grade (or research chemical) products. These are usually liquid-based products that are dosed with a dropper or oral syringe, or a spray-pump. They are products that are legally sold online as non-FDA approved products that are for research and laboratory use only. Pharmaceutical grade Nolvadex can run anywhere from as cheap as $0.77 – $2.15 per 20mg tablet. Underground (UGL) Nolvadex can be found in the range of $0.50 – $1.85 per 20mg tablet. Research grade products can vary in concentration and dosage due to their manufacture in mostly liquid format, but 20mg/ml contained in a 30ml bottle tends to be the average, with the price ranging from $45 – $75 per bottle.